We always aim to give a friendly, personal and welcoming environment for every family session. The most important thing to us is to create original, natural and creative heirlooms that will only become more valuable over time. We promise to give you an experience you will never forget. We just love reading all the thank you cards that we receive from our delighted customers. It is so rewarding to think of the 1000’s of customers from the past 10 years enjoying our artwork every single day. 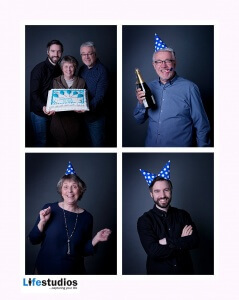 Lifestudios was established in 2006 by Paul and Steven Hattam, a father and son partnership to bring a fresh and fun approach to modern family portrait photography. Lifestudios aims to create a friendly and personal feel to every portrait experience, with each family member taken care of and made to feel welcome. As every family is different Paul and Steven make sure that there is plenty of time to get to know you before your shoot and also so you can get to know them so you feel comfortable and relaxed. This family-friendly personal approach results in relaxed, fun and characterful portraits that capture real memories of your family to keep and cherish for a lifetime. 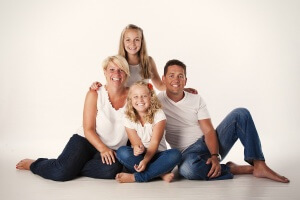 What is included in a family portrait experience? Up to an hour in our modern and cosy photography studio with a fully qualified Master Photographer.